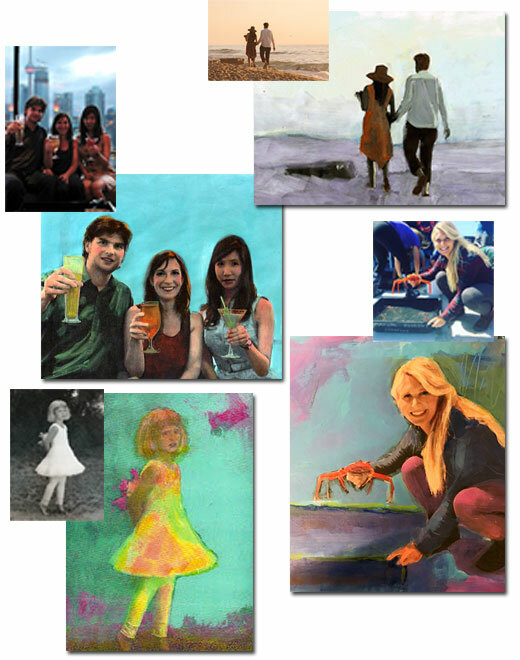 Let Lisa Paint your Portrait! It's so simple! Send us your favorite photo; the kids, the pets, your wedding or your vacation, and let Lisa make it a singular work of art, hand painted onto 8" X 10" hardwood. It doesn't have to be a perfect photo; Lisa will remove the background distractions and fix the exposure and anything else you would like. Begin by providing us with a little information about how to reach you. Then upload your digital photo and answer a few more quick questions.